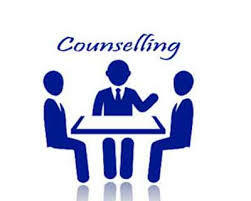 One of the revolutions in the present educational system is counseling. Though this was a continuous process in our ancient Gurukula System of education, in the present educational system it is changed into the different forms. One of such forms is ward counseling. In this system the students will be divided into groups. Each group will contain 20 to 30 students. For every group there will be one In-charge faculty member. .